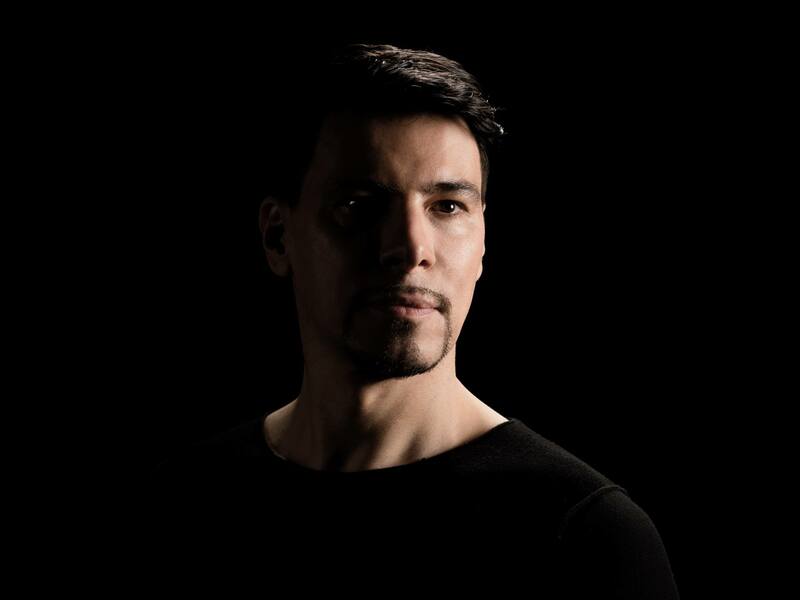 From his classic collabo-remix of “Silence” back in 2008, up to his massive solo releases “Sing2Me” and “Believe”, Thomas Gold has been prominent in the electro music scene for more than 10 years. The successful German artist has released unforgettable songs on almost every available music label and he has performed in every big global festival around the world. He is known for recapturing but also recreating impressive vibes across music genre, from EDM to more classic Dance vibes, without sacrificing his known and very personal way of producing breathtaking melodies. Thomas Gold kicked off 2017 in mind-boggling fashion with his ‘Revelation’ LP releases , with his hit single ‘Magic’ racking up over 20million streams and it doesn’t look that the success of his recent LP will stop anytime soon. Viralbpm sat down and talked about the “Dreamer”, his upcoming projects and his unmatchable sound and how it changed over the years. This is just the first part of the interview, as an ADE exclusive will follow. V1. “The Chant”, “You Know” and now “Dreamer”: Three great releases, all of them via Armada. You are working pretty closely with Armada in 2017, so we would like to know more about your upcoming releases and plans. Thomas Gold: I am already working on my next club release as a follow-up for The Chant and You Know, which will be out in a few weeks. And at the same time I am preparing another Pop/Dance (as follow-up to Dreamer) single scheduled for fall. I will keep releasing club and pop/dance tracks in the coming months. Of course, part 2 of my ‘Revelation’ album is already in progress. V2. Could you describe the creative process behind “Dreamer”? Thomas Gold: I started with a very rough version of the vocal which I got from Mimoza’s team and I instantly loved the overall vibe of her voice. So I started to find ‘THE’ right musical approach as I wanted to give the song this special summerish but still energetic vibe. I got inspired by a bunch of songs I heard at that time, but went ‘my’ own way with the production, which took me a while to finish, but in the end I (and also Mimoza) was very happy with the result. V3. What’s next on your schedule regarding touring and music releases? Any special event or a special collab you can already talk about? Thomas Gold: I’m in the middle of my ‘Dreamer Tour’ right now, just played shows in Spain, Belgium Miami, Austin (TX) and Chicago. Next one is Oslo tomorrow, followed by more shows and festivals in the US and Europe, before heading to Asia. Music-wise, I have a lot cooking right now, no collaborations for now, but all my very own projects though. V4. You’ve also released a very good album on Armada, ‘Revelation: Pt 1‘, which included some different creative and musical approaches compared to some of your previous works. How do you feel about the final output of your work until now? Thomas Gold: I feel great! With the album, I wanted and could show a bit of my ‘other’ musical side. Moving away from club music at all and touching other genres and kind of vibes. Apart from the album, I kept releasing club AND radio/pop music throughout the year. Plus, I could do a couple of remixes. So far this has been a very productive year! With more than 10 releases as of now – and more to come! V5. Thomas Gold, in which way will “Revelation: Pt 2” connect to the first part? Will they complete each other? Or do Part 1 and Part 2 imply something completely different? Thomas Gold: There WILL be a connection but also there will be completely new stuff – I am still figuring out which tracks to go on the album. >To me, part 2 should be the ‘completing’ part to part 1 – so the full album should show all of my musical spectrum at the end. I’m working on some exciting stuff, so watch this space. V6. Looking back at your career, do you think that your sound has evolved into something you always wanted? Thomas Gold: I think my sound has definitely evolved and this is definitely something I wanted. The fun thing is that at one point, you don’t actually know yet where you want your sound evolve into – or where it should go in a few year from that point on. Music as a whole is always changing! There is new genres popping up, sounds are coming and going and styles emerge and disappear. So the influence from the music itself is HUGE! And this is something I love about music – there is no standing still at all. So, if you like, you can change, evolve and develop your own sound forever and this makes it so challenging, cool and exciting! V7. Is there any artist, album or genre that inspired your sound or the way you approach music in general? Thomas Gold: There is many things which inspired me. I couldn’t name a certain artist or album. For me it’s more the allover vibe of what is going on the electronic music scene. I listen a lot to all kinds of genres and music. At the same time, I also get a lot of inspiration from all kinds of other occasions. Be it attending a festival and listening to music, hearing certain things while travelling or just any other situation. V8. Is there someone in your life that was really supportive during your early days as a Dj and producer? Thomas Gold: Yes, when I started to enter the progressive house genre, I received a lot of support from the guys from the Swedish House Mafia – Axwell, Sebastian Ingrosso and Steve Angello. They played a lot of my stuff at that time! They invited me as support DJ to their big shows! I also had releases on Axwell’s Axtone and Angello’s Size label. I was -and still am- very grateful for that.